The online version of this article (doi: 10.1186/1471-2466-14-178) contains supplementary material, which is available to authorized users. Unlike many other LAMA/LABA FDCs, the combination of the LAMA aclidinium bromide and the LABA formoterol fumarate is administered twice daily (BID) [5, 6, 7]. BID dosing may provide a 24-hour profile of lung function improvements that has the potential to improve the night-time, early morning and day-time symptoms of COPD that are common in patients with this condition [7, 8]. The pre-defined co-primary endpoints in this study were chosen to test the individual contributions of the component therapies, i.e. 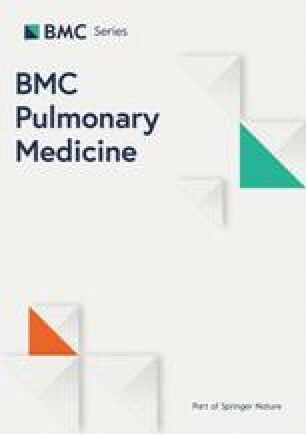 rapid-onset bronchodilation with formoterol (change from baseline in FEV1 at 1-hour post-morning dose) [5, 16, 17], and 24-hour bronchodilation with twice-daily aclidinium (change from baseline in trough FEV1) [18, 19]. 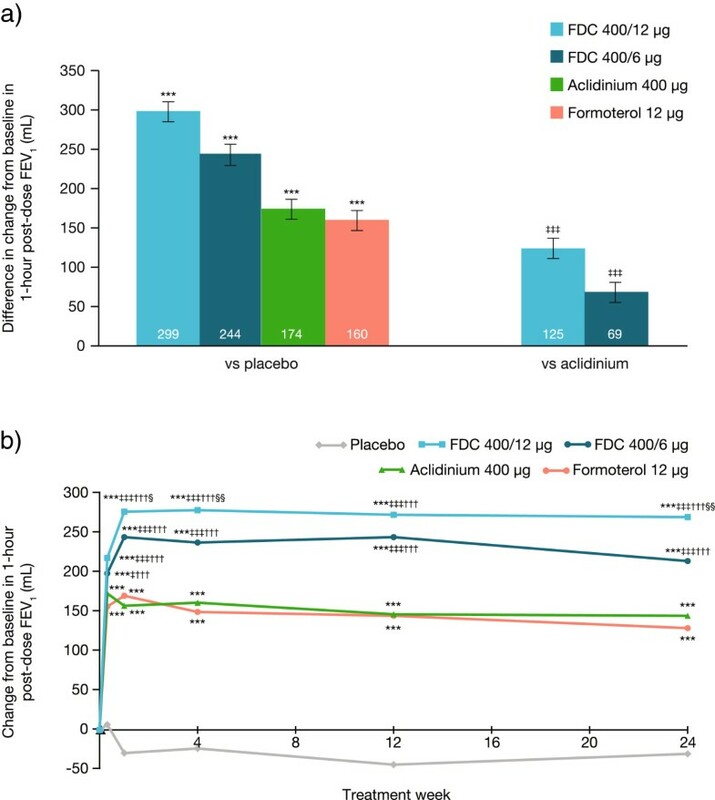 Both doses of aclidinium/formoterol FDC met both co-primary endpoints, suggesting that aclidinium/formoterol FDC provides bronchodilation that is faster in onset than aclidinium and of a greater magnitude over the dosing interval than formoterol. To date, all LAMA/LABA FDCs have demonstrated superiority to their monocomponents for improvements in FEV1, and our study shows similar results [20, 21, 22, 23, 24]. Taken together, the results provide good evidence that LAMA/LABA FDCs deliver additional clinical benefits versus monotherapy. Currently, there is no established MCID in bronchodilation for combination therapies versus their monotherapy components . 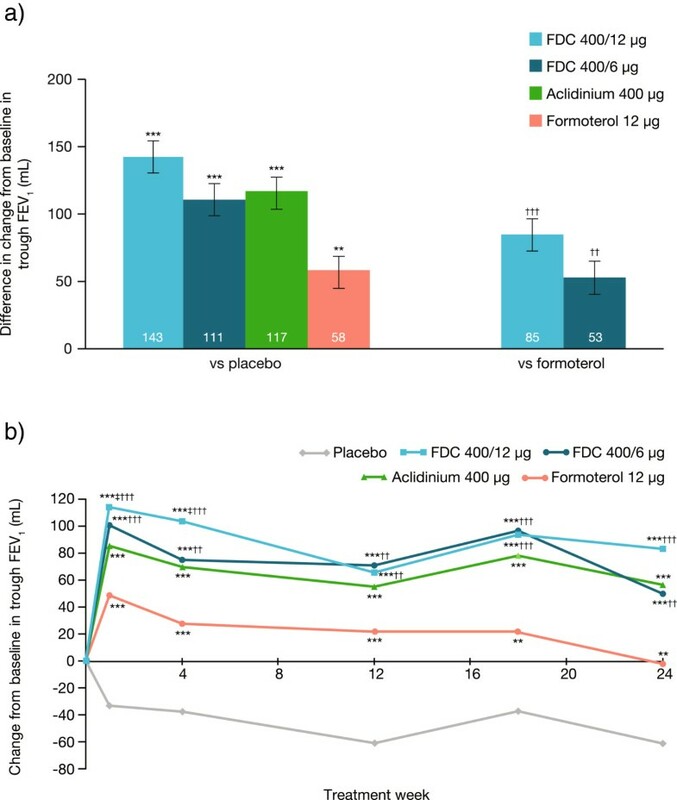 In this study, the treatment differences versus monotherapy were generally greater with the 400/12 μg dose compared with the 400/6 μg dose for bronchodilation endpoints (change from baseline in 1-hour post-dose FEV1, trough and peak FEV1, FEV1 over 3 hours post-dose and normalised FEV1 AUC0-12).